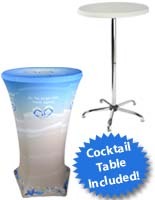 This portable high table is a versatile bar-height fixture that stands 47" tall and features a 27" diameter white HDPE top. 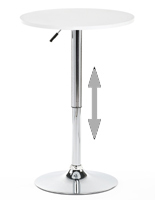 Each sturdy fixture has a silver finish aluminum pole support with star-shaped base for stability in high traffic areas. 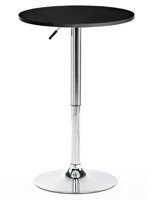 The 2-piece high table comes apart easily for ease of transportation or storage. 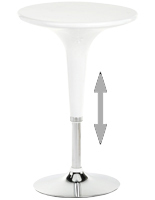 This white top high table is elegant enough for use alone and can also be used with fitted spandex or throw-style tablecovers as desired. 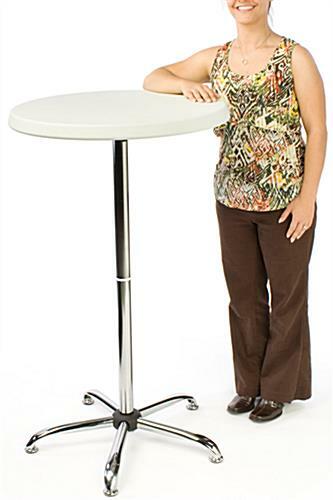 This versatile 47" tall tabletop is a perfect choice for use at trade shows or as a retail sampling or demonstration station accessory in addition to dining environments. 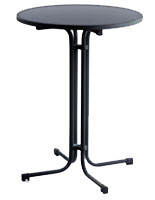 This easy to assemble high table makes a great pub height fixture for intimate seating at events. 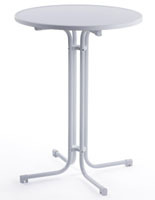 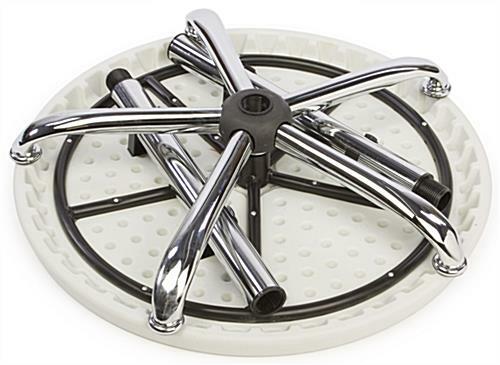 The 27" diameter tabletop can be used for dining, cocktails, meetings or as an accessory stand in trade show booths or presentations. 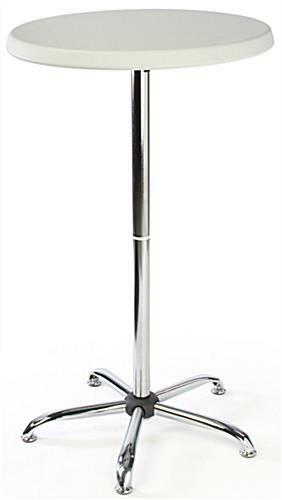 This stylish high table, sometimes called a highboy fixture, is an economical alternative to standard square or rectangular event fixtures.